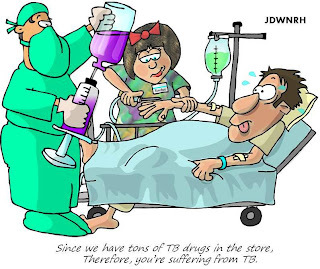 When my cousin brother was diagnosed with tuberculosis about twenty years ago, his parents didn't give a second thought and started the long treatment. About five months into the treatment they discovered that the little boy wasn't suffering from tuberculosis. His parents were only thankful that it wasn't TB. Five months of heavy dose didn't matter to them. As years went by the ill effect of heavy doses of wrong drugs showed on his physical features and his mental efficiency. That was a long time ago and everything was forgiven and forgotten even though my brother is still paying the price each day for error in medical judgement some people made. Over the time everything changed and technology came into hospitals to reduce human errors. But machines are just tools and its the human at the end who has to pass the judgement. Over the years I was shocked at the number of rumors I heard of people being wrongly diagnosed with TB, and some paying the price with their lives. 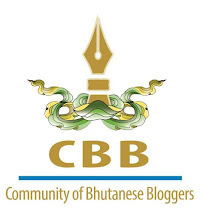 Advancement of human resources and technology seemed to have made no difference to Bhutan. May be all the rumors I heard are wrong, therefore I may be wrong too if not for what happened early this month. My nine year old sister was diagnosed with TB from Jigme Dorji Wangchuk National Referral Hospital. She had some swelling below her chin after a long toothache and after series of checkup it was confirmed that it's lymph node tuberculosis called Scrofula. My mother was asking me if they could begin her treatment. I am not a doctor, I am but a loving brother, I don't want to risk my sister. I rushed to Thimphu and found out that all the test reports were negative including the biopsy, which I found from Google as a crucial test. Wikipedia tells me that she should have symptoms such as " fever, chills, malaise and weight loss. As the lesion progresses, skin becomes adhered to the mass and may rupture, forming a sinus and an open wound." but she has none of these except the medical judgement of doctor. I trust the big hospital, I trust the big doctor, but on what basis should I trust this judgement? I brought my little sister with me and took her to Wangdue Hospital, where I explained my fear and showed the reports to the renowned medical specialist. He checked her neck thoroughly, studied all the reports, took a fresh x-ray and declared that it's NOT tuberculosis. He prescribed her antibiotic for five days after which the swelling subsided. Now I question the Judgement of that doctor who wanted to fill my sister's stomach with loads of drugs. I even fear that all the rumors I ever heard are true but they all landed nowhere because we Bhutanese are so forgiving. No doctor was ever taken to court for their mistake because we forgive, and because we forgive they take for granted. brother i had been going through your blog from past few days, and i really found it interesting and informative. Thanks Jam. This year you can expect more from me since I am planning to go stronger into blogging. I really think that our doctors despite the hypothetical title should work hard. Here is another incident of mine. Few weeks past; i have had a bad abdominal back-pain; I rushed to hospital at 3 am; the nurse there was about to give me an injection; Before the action;I asked her what it is and she was like " it is the pain killer; before admitting to hospital i read few posts from google saying that abdominal backpain could be due to stress and heavy weight lifting; and to that matter pain killer is not advised;. I told her i don't want it; and she was like groaning at me; with teh lack of professionalism. I told her that i have the right to know what goes into my body and she was like; " I am the doctor I know it". "Pain killer isn't advised with this abdominal backpain" i told her; and she was like; "well then i think you should leave the hospital". This clearly shows the lack of professionalism within our Bhutanese doctors; No offense to those who are good enough but some really need care and realize what they are doing. Its very true, I also had similar diagnose when i was in class 9. My face was filled with Acne pimples and I visited Thimphu hospital, where I was given boil injection for a week. Doctors do what not things and we cannot fight with them. They will always have something to blame on. I really enjoyed your blog. I understand your concern. It's hard to trust your loved ones' lives in somebody's hand, especially when they don't seem to know what they are doing. However, I am afraid you should not completely trust Wikipedia as a reliable source when it comes to such decisions. I hope and pray that your sister gets good and timely treatment for her ailment. I wish her fast and steady recovery. I feel bad that few patients suffer due to the negligence on a doctor's part. If a doctor is not sure of a diagnosis he should always consult a colleague. There is no need to pump a whole lot of unnecessary medicines into a patient's stomach. The situation may get better after the introduction of medical institutions where by, the students could learn with better understanding and familiar surrounding and some other crucial factors which would change the mind set and approach of our "young doctors", I think! In serious cases I suggest that you get a second opinion from a different doctor. Well I think that it all depends on the situation and what's good for you especially if it's the only solution.